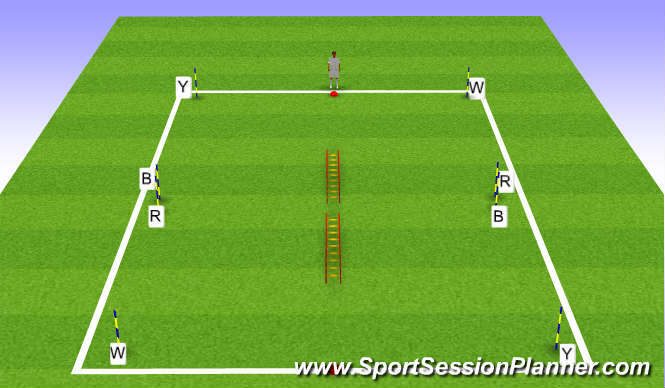 E) Start on cone, five players on each side. Burst to ladder, receive command of Red or Blue to burst sideways (2 mins). Repeat with instruction of Yellow or White (2 mins).